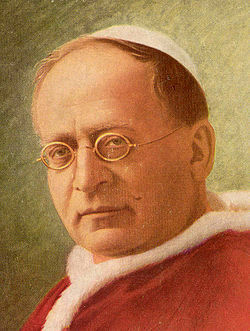 Pope Pius XI (Latin: Pius PP. XI; Italian: Pio XI; 31 May 1857 – 10 February 1939), born Ambrogio Damiano Achille Ratti, was Pope from 6 February 1922, and sovereign of Vatican City from its creation as an independent state on 11 February 1929 until his death on 10 February 1939. He issued numerous encyclicals including Quadragesimo Anno highlighting capitalistic greed of international finance, social justice issues and Quas Primas establishing the feast of Christ the King. He took as his papal motto "Christ's peace in Christ's kingdom". 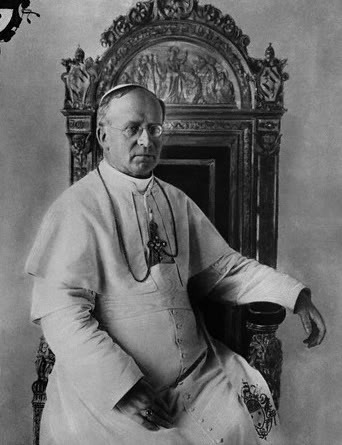 Pius XI assumed the position of pope shortly after the end of World War I, a time when many were still recovering from the devastation and a few still seemed hungry for further conflict. As a result, one of the tasks he set before himself was the development of a "Pax Christiana," a peace and soothing of tensions based upon Christian notions of love and brotherhood. He vastly increased the numbers of missionaries and priests throughout South and Southeast Asia in order to spread the message of Catholicism (the total number of missionaries around the world doubled during his pontificate), something which was not always welcome and which continues today to exacerbate tensions between Christianity and other religions. 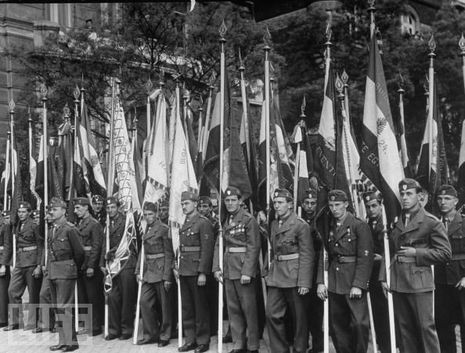 Pius XI also did not always manage to ease tensions among different Christian groups. He encouraged Eastern Orthodox churches to unite once again with Rome - but of course on the terms dictated by Catholicism, something which could hardly endear him with Eastern Orthodox leaders. He also rejected many of the efforts of ecumenical groups, declaring in 1928 that Christ's Church does not consist of many different, independent organizations which believe and teach different doctrines. There were also a number of efforts to bring the Church into greater harmony with the modern world. In 1931 he installed the first radio in Vatican city and in 1936 he founded the Pontifical Academy of Sciences. On the political front, he made an important advancement when he signed the Lateran Treaty on February 11, 1929. With this document the Holy See recognized the existence of the kingdom of Italy and the Vatican was recognized as an independent state. Less successful was his concordat with Hitler in 1933 - Pius XI regarded communism as a much more serious threat to the Catholic Church than Nazism, thus sought to appease Hitler in the effort to protect the rights of Catholics in Germany. Pius' fundamental fear of modernism, something he shared with his predecessors, lead him to support Franco, the leader of fascism in Spain. According to Pius' way of thinking, it was better to have a repressive fascist in power who also supported traditional social structures than a democratically elected leader who might undermine traditional social structures. It was not until 1937, when he issued the encyclical Mit brenneder Sorge, that he condemned aspects of Nazism.